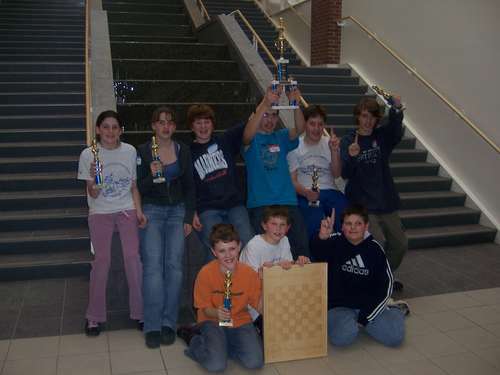 01.01.08 It was another record-breaking year for chess in Maine. In each of the three benchmark categories--number of tournaments, number of tournament sections and number of players--new records were set. 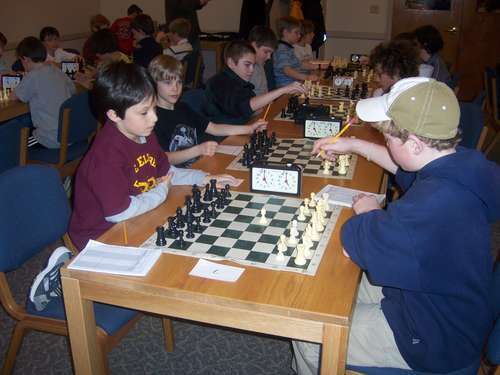 On the 2007 Maine chess scene there were thirty-eight tournaments in seventy-one sections serving 945 players. 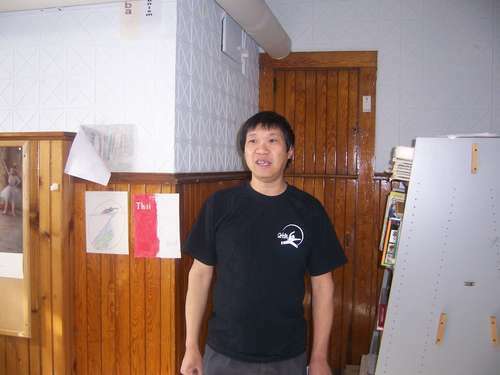 We've pored over the statistics to bring you this in-depth retrospective of the most active year in Maine chess on record. 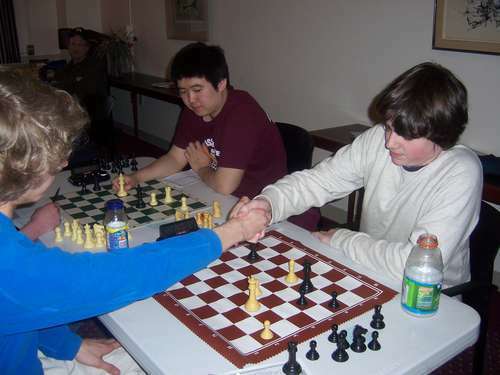 To see crosstables of all USCF-rated tournaments played in Maine this year please click here. 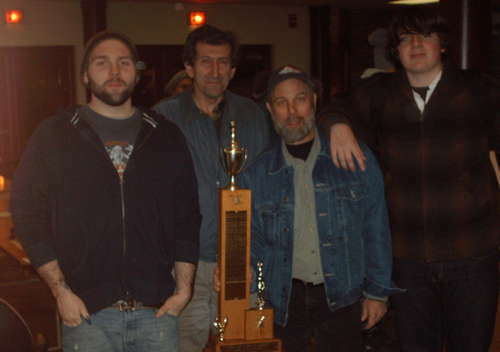 Roger Morin (left) tops the list of winningest Maine players for 2007 with five tournament wins. 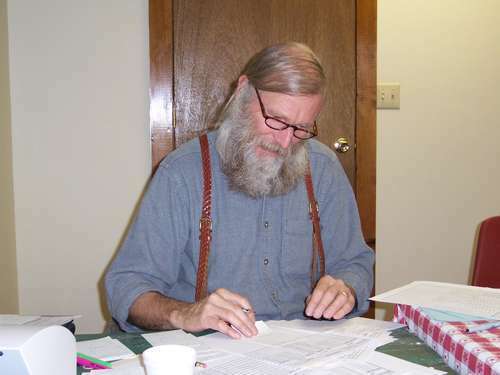 Roger is pictured here playing one of his top rivals at the Washington County Chess Federation Swisses, Roger Peterson. Cullen Edes takes clear second with four tournament wins. 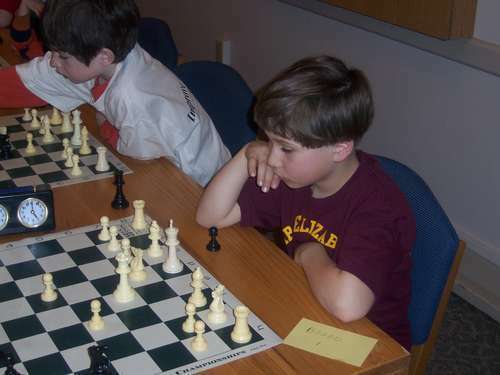 Here Cullen plays in the Hampden Harvest tournament on November 3, 2007--one of the four tournaments he won this year. Four players tied for third with three tournament wins. 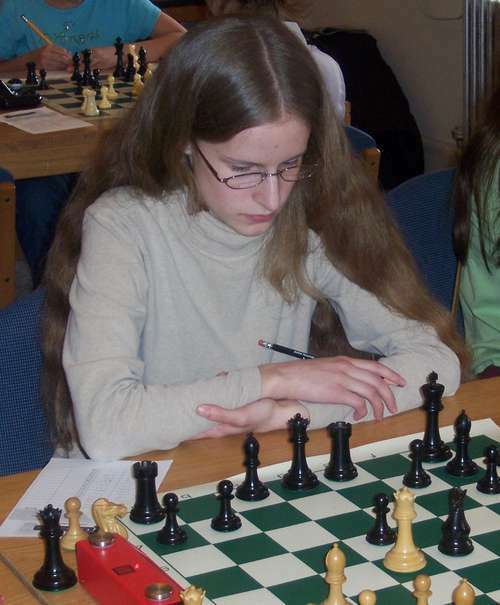 Lily Briggs won the Girls State Championship on March 3, 2007 at the University of Maine, Orono. 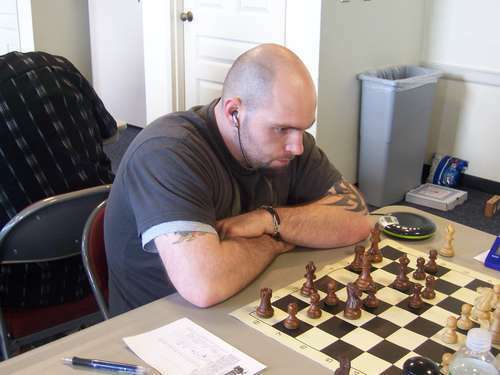 Matthew Fishbein on his way to first place in the open section of the Aurora Winter Solstice tournament on December 1, 2007. 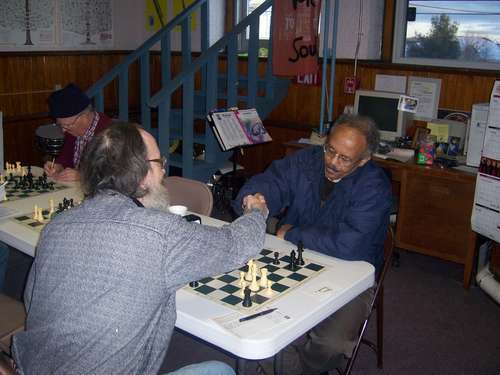 Ghezai Menelik (right) shakes hands with Brock McDougal to win the All Saints Winter Warm-Up on February 24, 2007. 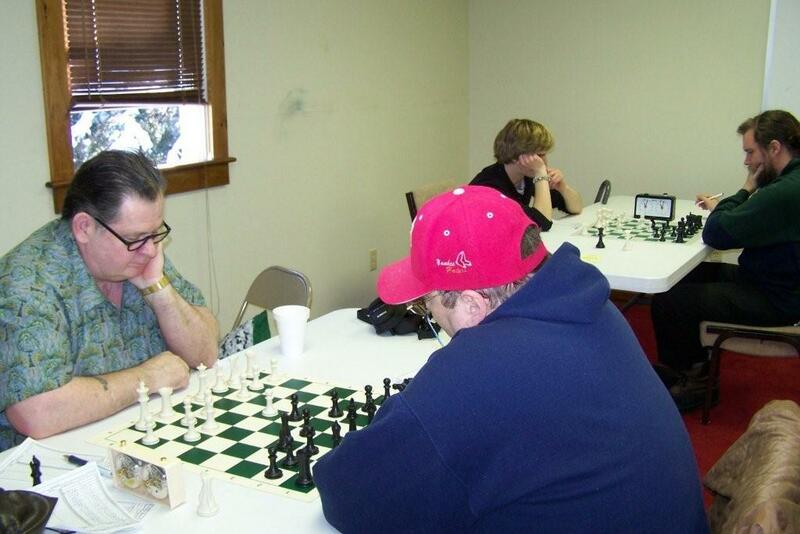 Roger Peterson (left) battles Lily Briggs in the third round of the Washington County Chess Federation June Swiss. 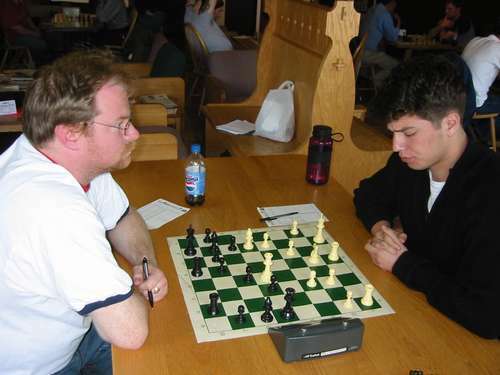 2007 Maine Chess Player of the Year Ruben Babayan (left), plays 2006 Maine Chess Player of the Year Lee Doucette, during their first round encounter at the ChessMaine.net Championship on June 23, 2007 at Colby College. This year's most active player title goes to Matthew Fishbein. 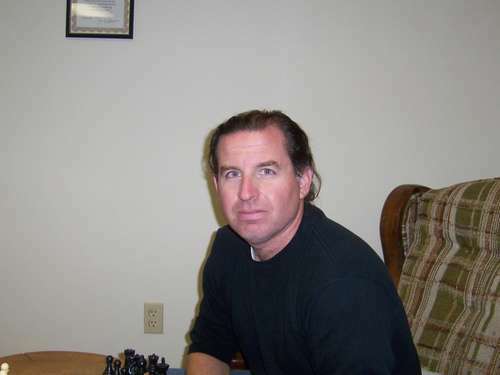 Matthew played in a total of sixteen USCF-rated tournaments in 2007. 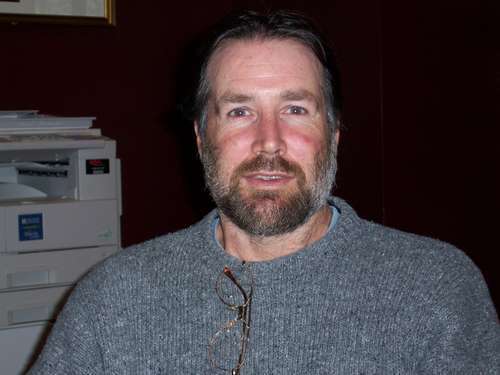 The second most active Maine player in 2007 was Mark Seedner, who played in fifteen tournaments. 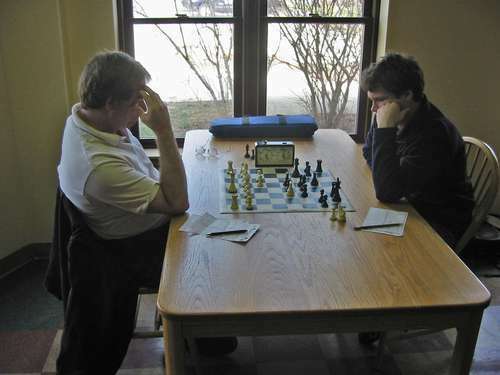 Maine State Co-Champion Joseph St. Pierre (right) plays Alan Schalk in a key fifth round match-up. St. Pierre won this game to finish with 4.5 points and tie for the state title with Jason Spector. 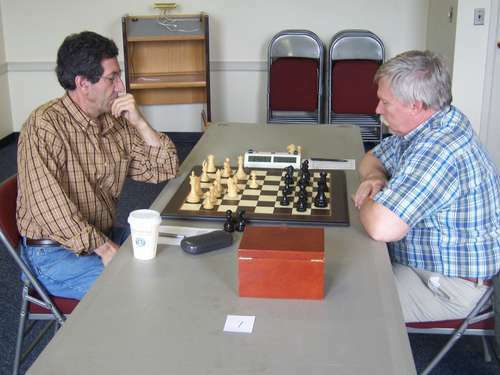 Maine State Co-Champion Jason Spector (right), won this game vs Jason Hopkins to earn himself a share of first place. 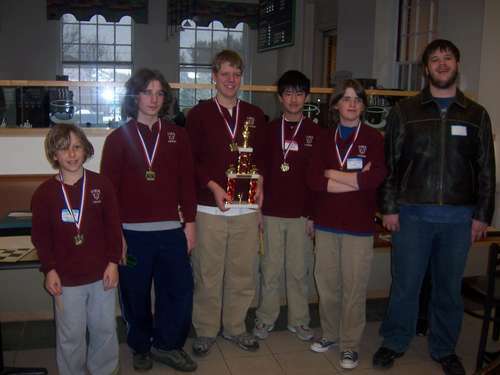 Four-fifths of the winning team, The Unnamed Winners/Chess Friends (left to right): Derrick Crocker, Ruben Babayan, Barry Magda and Lucas McCain pose with the Harlow B. Daly trophy. Andrey Savov is not pictured. Co-champions in the High School Championship section, Cullen Edes (left) and Lucas McCain call it a draw in round 4. Members of the John Bapst championship team (left to right) Zachary Smith, Murray Bridges, and Fritz Eyerer. Not pictured are Zachary LaPierre and Frank Kessler. 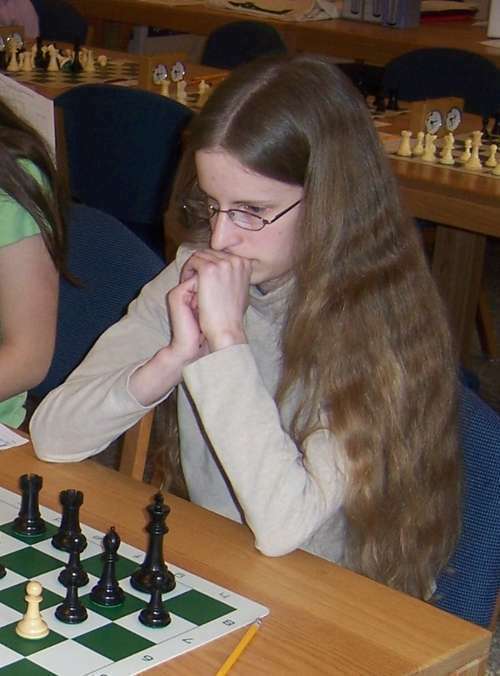 2007 Maine Girls Scholastic Champion Lily Briggs. Margaret Bryan of Airline Community School in Aurora notches the K-8 Scholastic Championship. 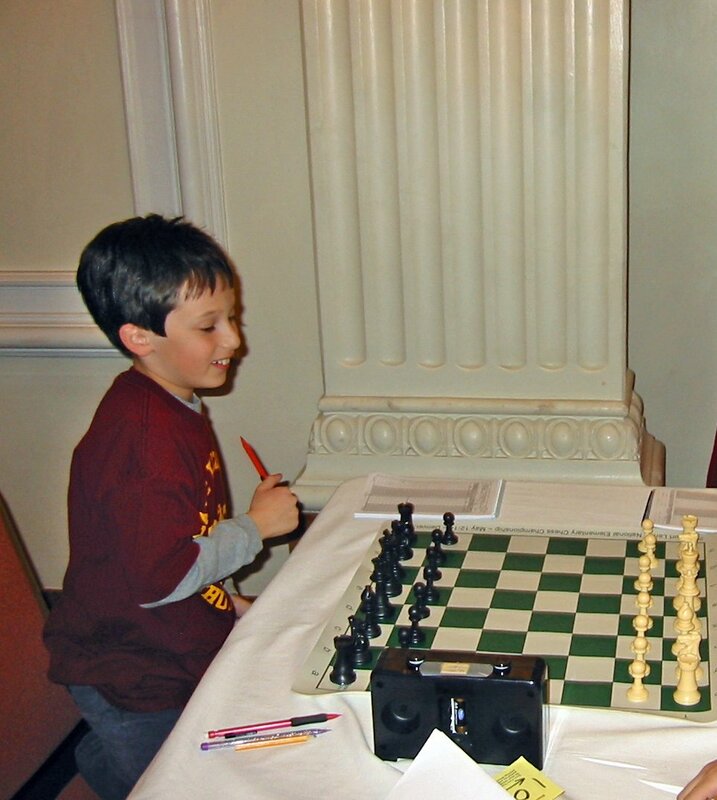 Matthew Fishbein (left) plays Matt Saunders in round 2 of the K-6 Championship section. 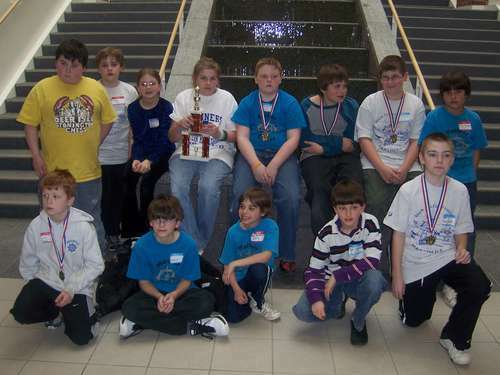 Last year Matthew won the K-3 Championship with four points, he did the same this year in the K-6 Championhip section. 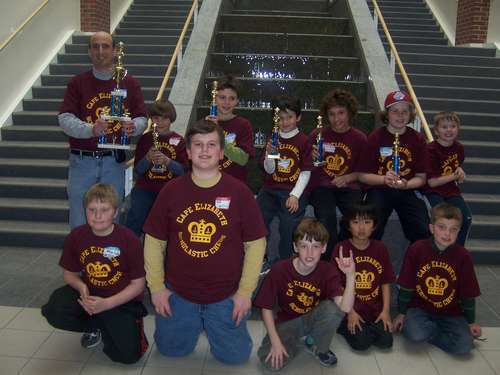 After four consecutive second places (2003 - 2006) in the Elementary Championship section, this year Cape Elizabeth comes out on top. State Champions in the K-3 division for two years running: Airline Community School. 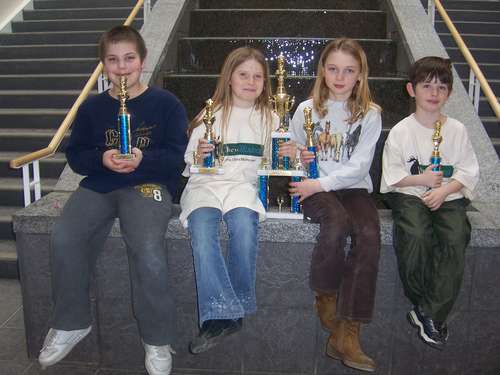 From left to right: Isaiah Massey, Laddy DeLuca Lowell, Hannah Gray and Max DeLuca Lowell. This team scored a stunning 11.5 points out of a possible 12. 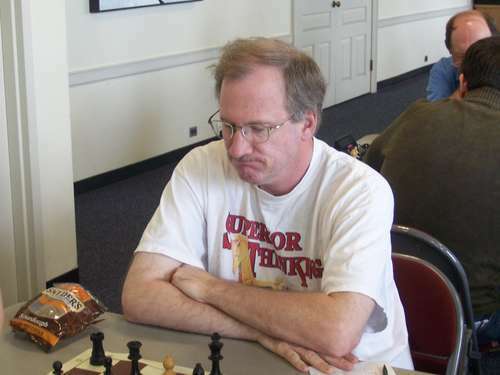 1st Place 734 points: Derrick Crocker (1167) scored the biggest upset of the year with his win over Phil Lowell (1901) at the Portland Quick Chess Open. 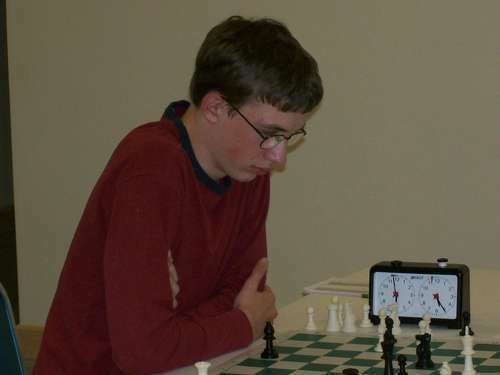 2nd Place 690 points: Nathaniel Simpson (997) defeated Mike McCabe (1687) at the Washington County June Swiss. 3rd Place 650 points: Danielle Wong-Achorn (100) defeated Reid Horton (750) at the 8th Annual Martin Luther King Jr. tournament. 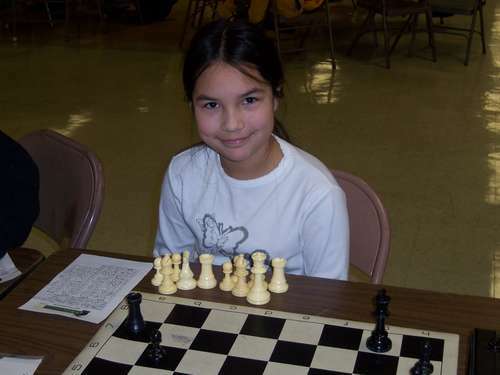 4th Place 629 points: Lily Briggs (1199) defeated Roger Peterson (1828) at the Washington County Chess Federation April Swiss. 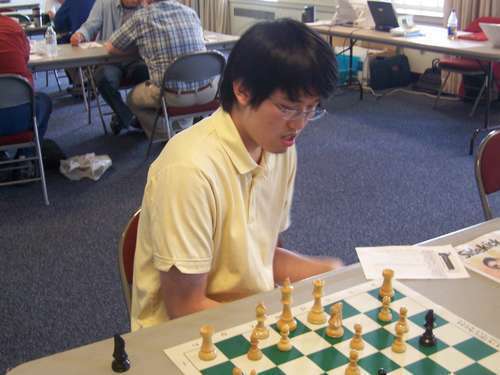 5th Place 602 points: John Soong (729) defeated Lee Doucette (1331) at the Portland Quick Chess Open. 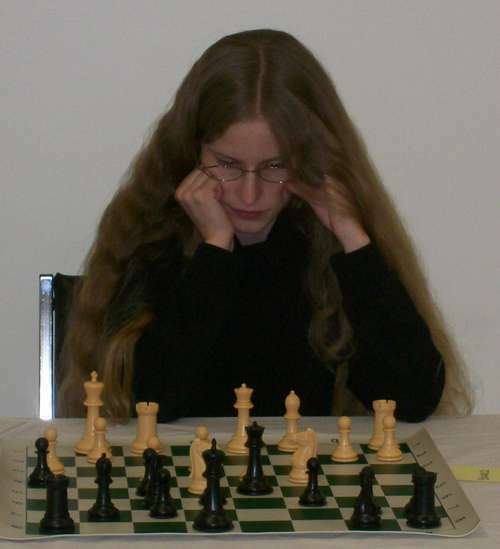 ChessMaine.net has been visited by readers in all fifty states and dozens of foreign countries. With the help of our web tracker and hit counter, we have been able to determine the year's most popular stories. We hope you will enjoy taking a second look at these, the top stories of 2007. 4th Mexico City Round 14: Viswanathan Anand is world champion! 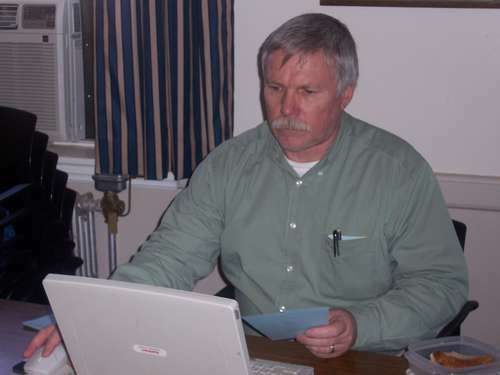 This year, there were six active chief tournament directors in Maine. We extend our thanks to these individuals and to all the assistant tournament directors for making 2007 a record-breaking year for Maine chess. To determine the most active tournament director, we used a summation of three indicators: total tournaments directed, total tournament sections directed and total players served. Using this critera, the directors pictured below are listed in order of their tournament directing activity. 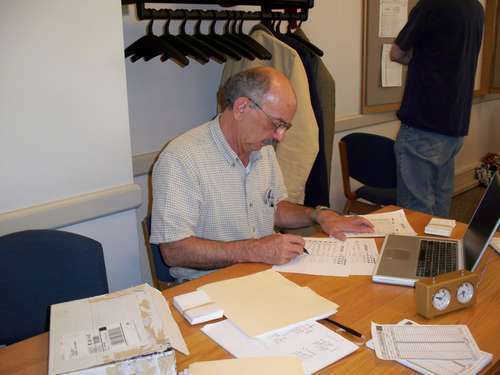 You can click on a director's name to review their tournament directing history. 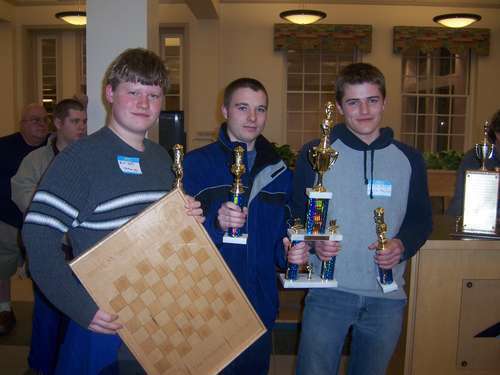 Thanks to all for making this year one of the greatest in the history of Maine chess! I must say that your state association ranks as one of the strongest per player as you do everything and anything to provide interesting articles such as this one. Very impressive research and keep up the good work!